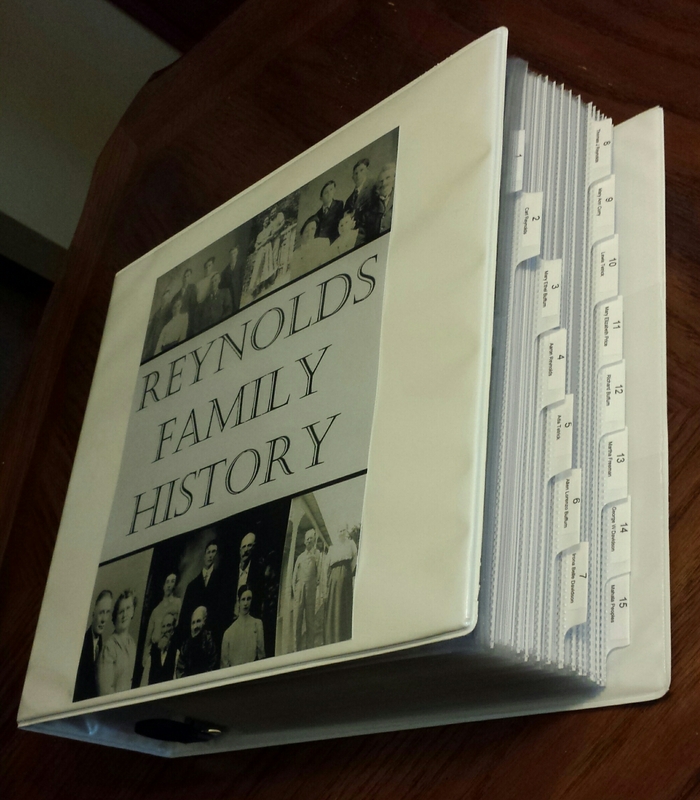 Last year I made this family history binder as a Christmas gift for my father-in-law, so I decided that this year I would make one for my side of the family. 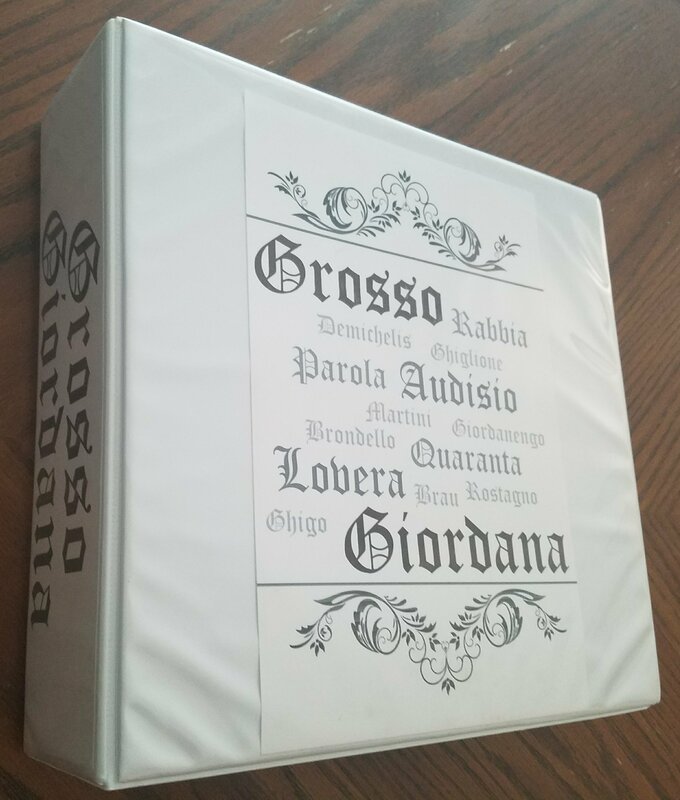 My mom spent last summer photographing church records in a small town in Italy (you can read more about that process in this post), so I wanted to organize her family’s records for her. 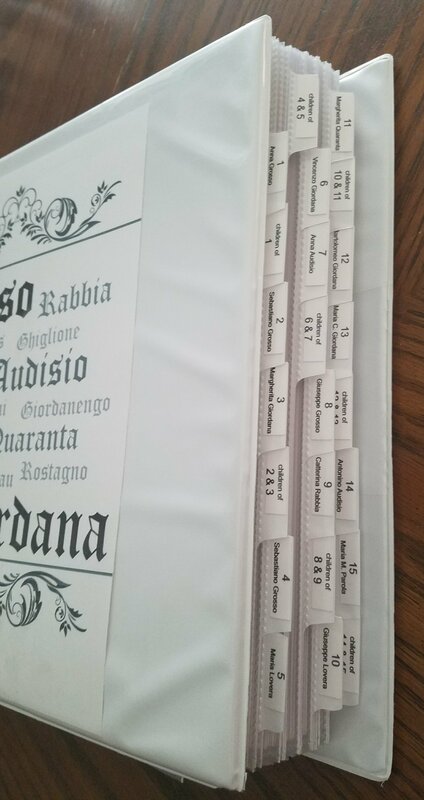 I used the same materials as before (see the list here), except I purchased 3 sets of these tabbed dividers instead of 2 for a total of 24 tabs. My first tab has a numbered 4-generation pedigree chart starting with my mom’s grandmother, Anna Grosso. I then printed off additional pedigree charts starting with #8-15 so that my mom could reference them while doing research. 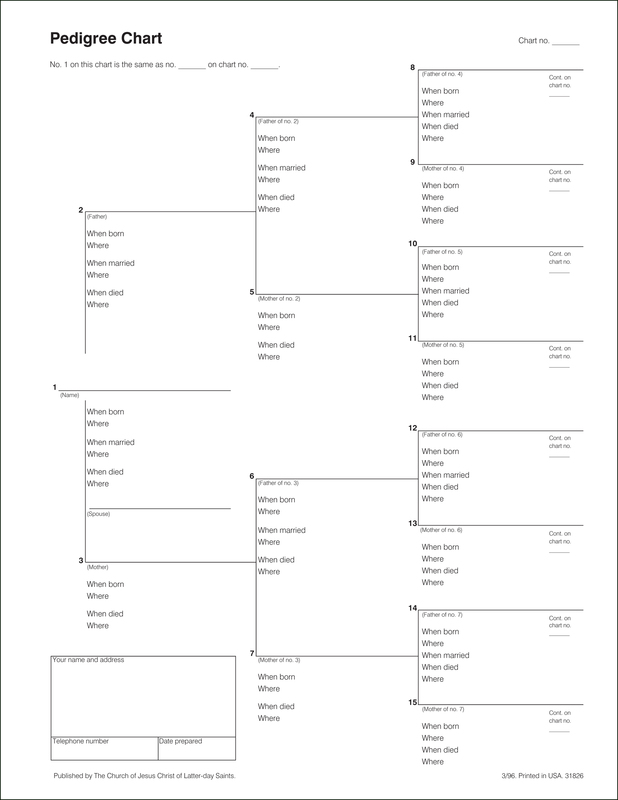 See this post to see how to print number pedigree charts from familysearch.org or how to create your own. Each of the numbered tabs corresponds to the number of an individual found on the first 4-generation pedigree chart. 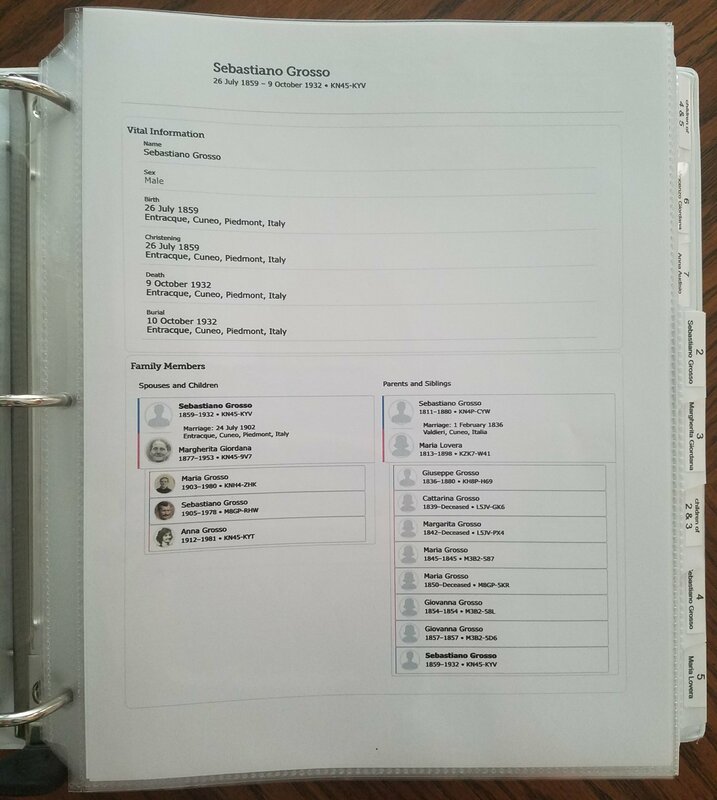 The first page of each person tab has a printout of their familysearch page so you can easily see their vital facts, spouses, children, parents, and siblings. I then used Family Tree Maker (FTM) to print the documents I had for that individual. For most, that consisted of their baptism, marriage, and death record. The reason I chose to print them from FTM is so that the source info would print on the same page, reducing the number of pages printed by half. 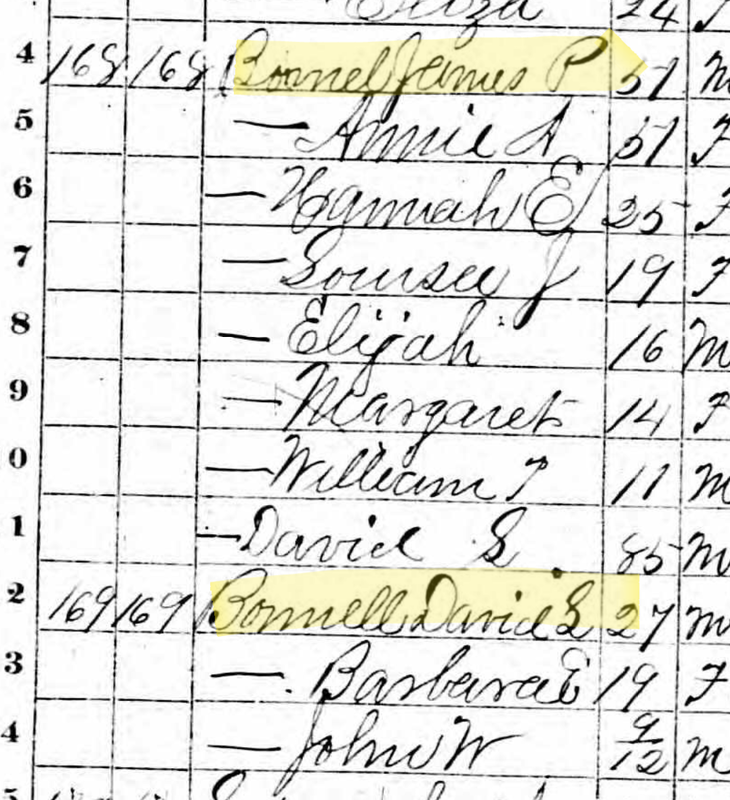 Since I didn’t have much info about these ancestors, I decided to also include their children. After struggling with whether to group them under the father’s tab or the mother’s tab I instead decided they needed their own section. So after each set of parents, I put a tab for their children and labeled it “children of (#) & (#)”. The first page of that section is a family group sheet. I printed this from familysearch. 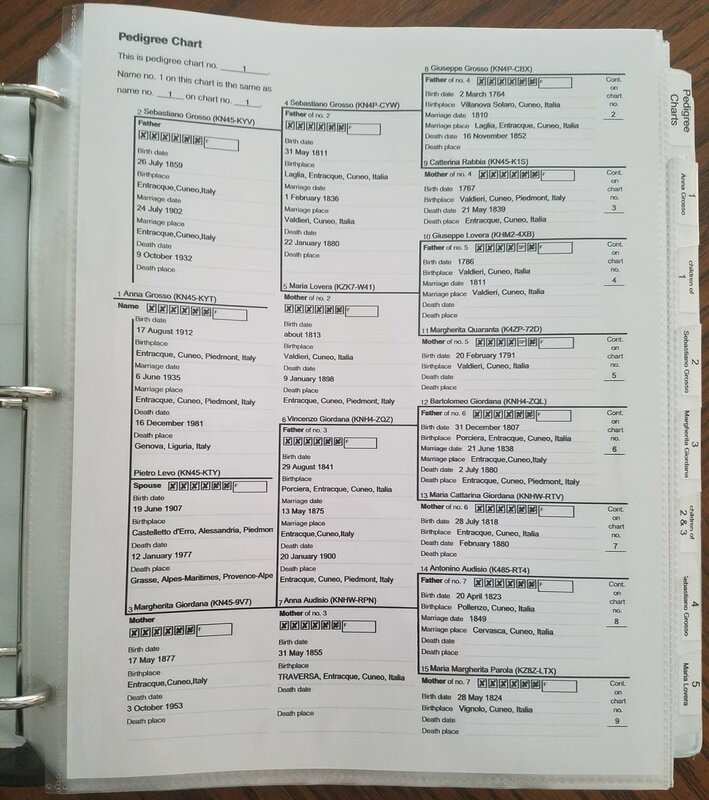 I then put a printout of the oldest child’s familysearch page followed by their records, just like I had done for the parents. Then I did the same for each of the children, all within that same tabbed section. You’ll notice that I didn’t include a photos section this time. I only had a couple photos from this family line, so any photos were instead filed under the individual’s tab. The other difference is that I didn’t include individual timelines or maps. For most of these individuals I only had their birth, marriage, and death info, which is easily visible on their familysearch page. Also, most never moved from the town so a personalized map printout would have been exactly the same for each individual. I’d love to hear if any of you decide to put together your own binders and what changes you make to adapt them to your own needs. Either leave me a comment below or come share on my facebook page. My dad’s ancestors are all from the US, Canada, and the UK so researching their families online has been pretty easy. My mom, however, is from Italy where not as many records have been made available online. Some of the larger Italian cities can be found on Familysearch or Antenati, but my grandparents are both from small towns where nothing has yet been digitized. My maternal grandmother is from Entracque, a tiny town in the French Alps with a population of about 800 people. Current government records are kept in a nearby city, but all of the historic genealogical records, some dating back to the 1400s, can only be found in the local church. 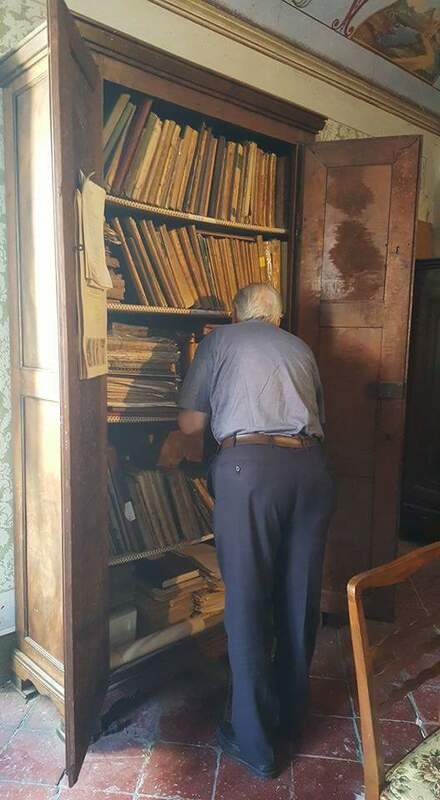 My grandparents have been trying to research their genealogy for decades by visiting the church and requesting to look through their books, but looking up each individual is very time-consuming and too many visits can become an annoyance to the local priest. 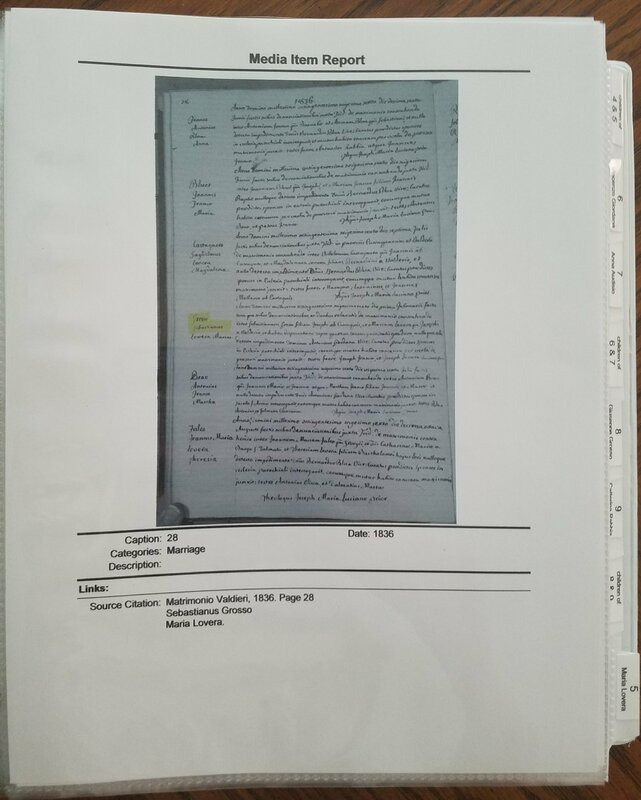 When my mom decided to go visit last summer, we came up with a plan to digitize the church records so that our family history research could instead be done from home. We researched many different scanners but couldn’t find one that really fit our needs. Flatbed scanners would require turning the book face-down over and over with each page flip, so that wasn’t going to work. I love my Flip-Pal scanner, but it only scans 4″x6″ images so digitally stitching together each page from multiple scans would have been a nightmare. A wand scanner could have worked for some books, but many were wider than the wand and would have required multiple scans for each page. My dad ended up creating his own “scanner” using a cellphone to capture the images. He purchased a Selfie Stick and attached it to a boom microphone stand so that the phone could be positioned directly above the table and the image could easily be captured by pressing the button of the Selfie Stick. (An even easier alternative that we have since discovered would be to purchase a phone mount that easily attaches to the boom microphone stand and then use a Joby bluetooth remote to control your phone’s camera). Using this process, my mom was able to digitize thousands of pages of birth, marriage, death, and local census records in a matter of days. Once these records were digitized, we were then faced with the challenge of searching through the thousands of digital images. They have been organized electronically into folders according to the record book they were captured from, but it is still difficult to find specific records. 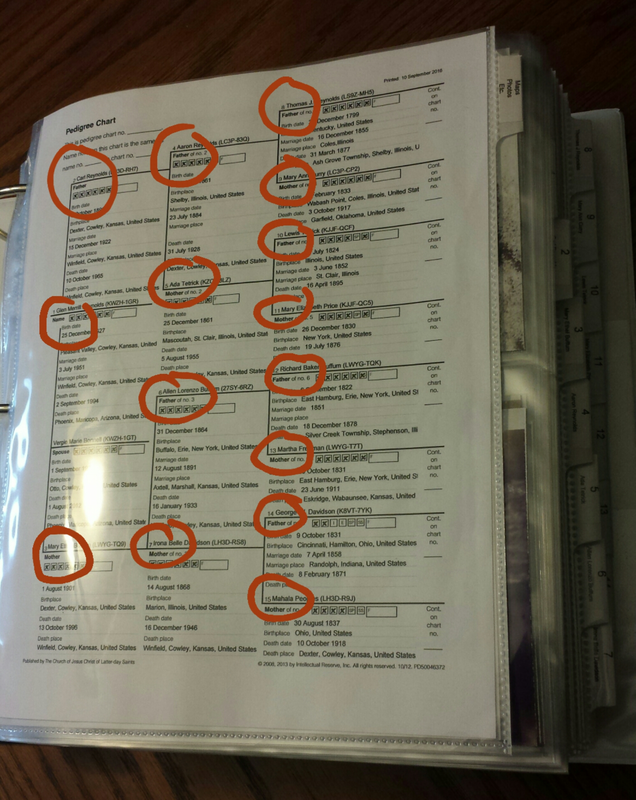 To solve this problem, my mom has taken on the daunting task of indexing each record. 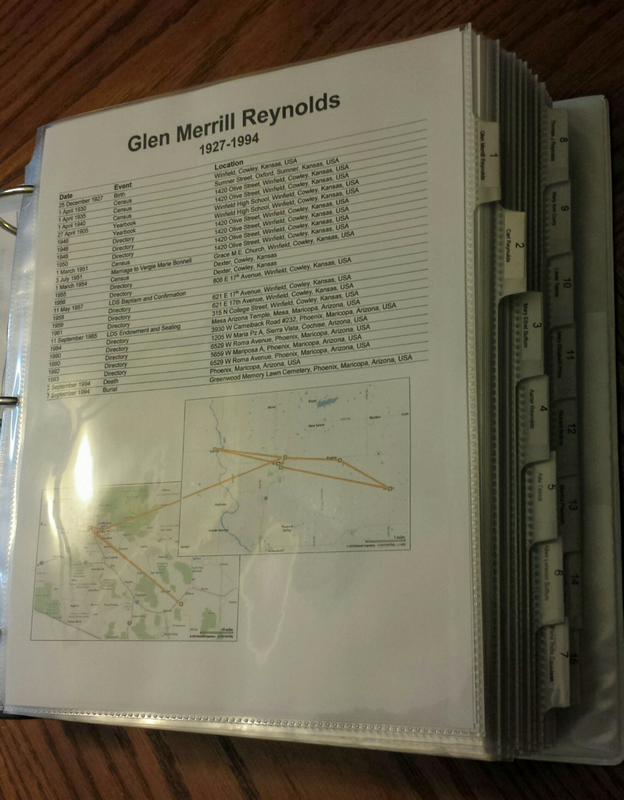 For each record book she has created an excel file with headings relating to the info found in those records. She then used speech recognition software to enter the data into excel from the records. This is an ongoing project that will require quite a bit of time, but it has already paid off. Once a record book has been transcribed into excel, I can sort the spreadsheet by parent names and easily see family units! I can also perform searches for specific names without needing to examine the images page by page. 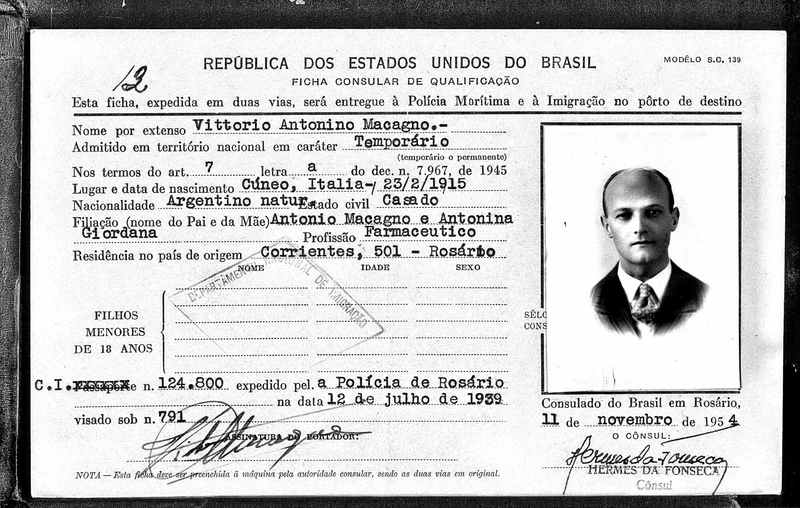 Using this process we have been discovering and adding new individuals every day to our Ancestry and Familysearch trees along with the source info and record images. My son isn’t quite old enough to color, but he already won’t sit still during church, so I found this awesome family history coloring book and turned it into a reusable dry erase book for him to use someday. The best part is that it cost less than $3 to make! If you prefer to print the coloring book yourself instead, click here to download it for free! Once I had my book, I removed the staples and used my paper trimmer to cut right down the center fold line. I discarded the back cover, so there were a total of 11 pages (front cover + 10 coloring pages). I then placed each page inside a laminating pouch and ran it through my laminator. I use the 5 mil pouches because they are more durable than the 3 mil ones. If you print the pages yourself, you will need to place 2 pages back-to-back inside each laminating pouch. To finish off the book I just used a 3-hole-punch and 3 keyrings to bind it together. I plan to use dry erase crayons with mine because they are less messy and won’t dry out like markers. 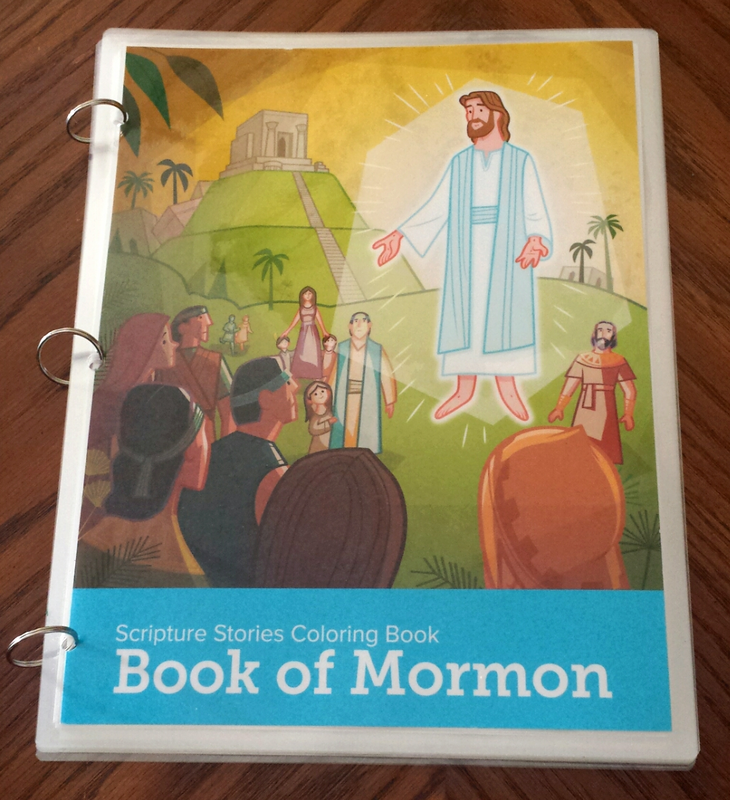 Also for those of you who are LDS, there is a Book of Mormon coloring book available from Deseret Book, the distribution center, or free download. This is the third post in my Family History Binder series. Click here to go back to part 1. My family history binder is broken into 16 sections. The dividers I used are the Avery Clear Pocket Label Dividers 8-Tab Set, so I used 2 sets of them. 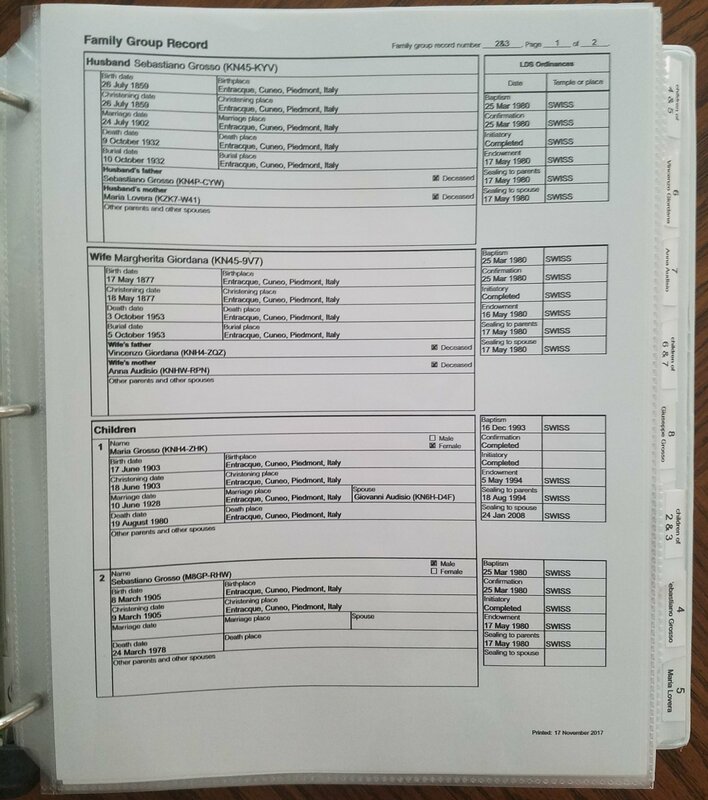 The first page of my family history binder is my 4 generation pedigree chart. This also serves as an outline for my binder. If your tree is on familysearch, all you need to do is go to the person page for the individual you want your chart to begin with, and then click on “pedigree” under the “print” heading on the right side. If you want to fill out the chart yourself, here are a couple links to blank pedigree charts. It is very important that you use one that has numbers next to each individual. Once you have your numbered 4 generation pedigree chart, label 15 of your dividers with those 15 individuals. Make sure to include the number on the tab as well. The 16th tab I labeled “maps, photos, etc”. This is a place for things that don’t belong to a specific individual. I originally planned to put this section last in my binder, but I found that everyone was usually more interested in looking through the pictures than the documents so it made more sense to put them at the beginning. My next post is specifically about this section and can be found here.